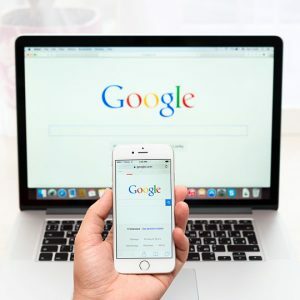 Many business owners may not be aware of how important it is to manage their Google My Business account as part of a business’s overall digital presence. Google has made it very clear just how important this is and will continue to do so over the coming months. Sometime “soon” (the only time frame given by Google), if a business has not logged into their Google My Business account, they will receive an email requesting they login and update or verify their listing. If they do not then this new protocol means that the business may become unverified, removed totally from maps, and will not show up in local search results either. If access to the email account that has ownership of the Google My Business listing has been lost, then the business or brand will need to contact Google Help and go through the process to regain access to the Google My Business account. Google has an important reason for making this login request. There are an extremely large number of inactive accounts that need to be either updated and/or verified that they are correct in order to give more accurate search results for consumers. Login and verify / update the Google My Business account. Confirm there are not any duplicate Google listings. Local Site Submit’s Duplicate Checker Tool is a quick and easy way to do this. Review / make updates a minimum of every 6 months. Set a calendar appointment that reoccurs to remind you. Post social media updates on the Google Plus Page. Hootsuite and Dlvr.it both can automatically feed newly published blogging content via RSS. In addition to keeping a Google My Business listing in good standing, another reason that business owners and brands need to login regularly is to keep those that have elected to follow their page updated on what is happening, monitor reviews and respond to those that have communicated with the brand. As an agency, Advice Interactive Group will login regularly to each Google My Business client’s account to review and make any necessary updates. Our Local Safeguard™ monthly monitoring service ensures accuracy for each of Local Site Submit’s customers. 73% of consumers surveyed said they lose trust in a local business when it has inconsistent location data. Don’t let Google’s newest change affect you or your customers! Login today. Google is sending out a wake up call. How will you respond?